I have been exchanging Christmas cards with my high school chemistry teacher, Mrs. Lechman, for the past 20 years. Some people are just special – and you know it the moment you meet them. They are mentors, encouragers and challengers. They see our capabilities and push us toward them, and they don’t accept less from us. They make life exciting and fun, even when there’s work to do. Whether they know it or not, they have a profound impact on who we eventually become. Over the years I have felt compelled to share my journey with Mrs. Lechman – where my career has taken me, the adventures that I have been on and the blessings that I have experienced in my life. And she has shared her journey with me as well. It started out as a way for me to express my gratitude for the role she played in the successes I have enjoyed. Now I simply look forward to hearing from her each year, to hear how she continues to be such a bright light in the world of those around her. She has since retired, but it was her unique presence in the classroom that made chemistry fun for me. (I cannot say the same about my experience with organic chemistry in college, however.) She was passionate about the periodic table. She was enthusiastic about balancing chemical equations. And she was always coming up with interesting ways to show us how chemistry existed in the real world. I’ll never forget the first day of class. We, an awkward group of freshman, apathetically shuffled into the room and found a seat that would be ours for the duration of the year. An unmistakable chemical odor welcomed us like a smiling Walmart greeter. There was a large periodic table secured to the wall on the left and lab stations were scattered throughout the perimeter of the room. At the front, a large piece of white paper was taped to the blackboard. Mrs. Lechman promptly began class with an introduction of herself and what we would be learning that year. Afterward, she grabbed a bottle filled with a mysterious liquid and began spraying the white paper. After a few minutes, the words “Chemistry is fun” appeared in bright colors, and I knew then that it would be an interesting year. Who in your life has influenced who you have become? And how have you shown your appreciation? 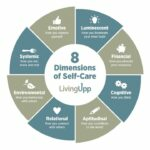 This entry was posted in Self-Care Activities and tagged gratitude. Do You Squeeze or Steamroll Your Lemon?